anchored in love and growing in faith." We are a growing, theologically-progressive congregation with a strong UCC identity believing fully that “God is still speaking.” We seek to discern God’s voice through worship, prayer, study, and service. The balance of contemporary ideas with history and tradition, diversity of religious backgrounds, and varied faith interests is a particular blessing. We are also blessed with energetic and creative pastoral and musical leadership which enable gifts of ministry to emerge from many in our community. We gave prayerful and lively consideration of all this material. The outcome? As we approached our 300th anniversary, it seemed appropriate to step back from the daily and seasonal rhythm of church life to look at our faith community and do the spiritual equivalent of a health checkup. To accomplish this, a small group undertook a demographic study of Kittery/Seacoast area, looked at our church’s data over 10 years, and looked at trends in mainline Protestant churches. 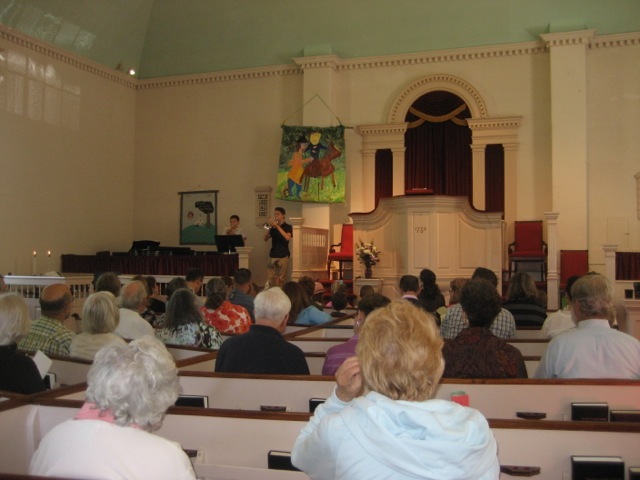 We organized a detailed congregational survey and were pleased at the high response rate and thoughtful responses. Practicing joyful welcome: Practicing hospitality, encouraging outreach to others, and inviting new people to participate. Seeking justice for all: Identifying and responding to the needs of the marginalized and poor in spirit in the local and wider community. Continuing testament: Journeying together in faith, strengthening one another, educating new generations. Changing lives: Impacting lives by meaningful worship, open discussions, and pastoral guidance, along with service in the community to achieve personal and collective growth of faith. Gathering as God’s people to pray, praise, and hear the word of God and leaving strengthened to serve. Providing a variety of fellowship opportunities and encouraging small group participation to bind us. Actively anticipating and responding to trends in our local communities and the wider society so that we may remain relevant.